Happy Easter! It has been so wet the last few days that a canoe would be of more use than a wheelbarrow. The forecast for the week ahead doesn’t look any better, but today it has been dry all morning. Since it looks as though I am going to be crazy busy with work this month, I thought I would take the opportunity to do the next batch of seed sowing, and so I headed out into the garden. 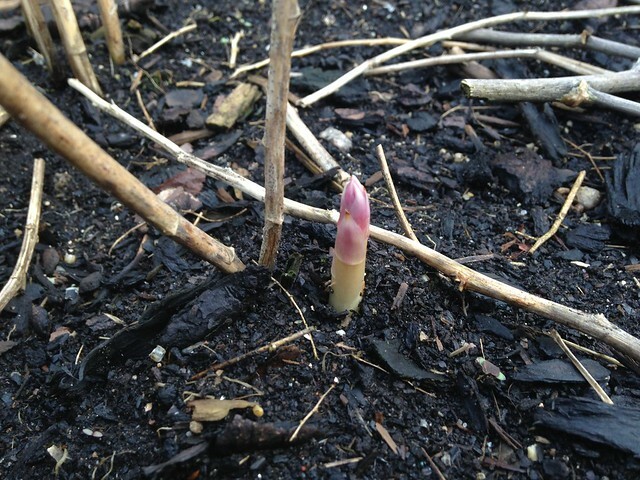 I was greeted by the first asparagus spear of the season – and we get to harvest some this year! The leeks are standing brilliantly – only one has attempted to flower so far. These are a variety called ‘Carentan 2’, which I had from Unwins as an organic seed. I have sowed another batch this morning, and checking the records it seems I sowed them on 2nd April last year, so that bodes well for a repeat performance. I’ve cut two leeks to take to Ryan’s parents, together with the first proper harvest of purple-sprouting broccoli. 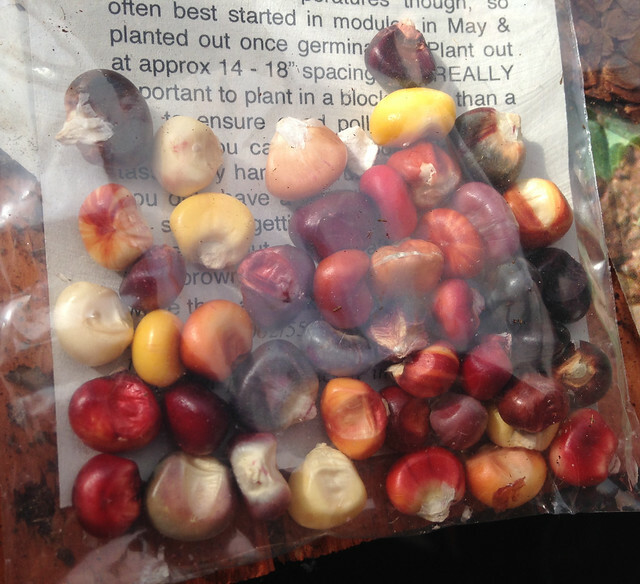 I also sowed two varieties of sweetcorn (Double Red and Painted Mountain, both from Real Seeds). Ryan and I really loved our multicoloured sweetcorn harvest last year, and I’m really looking forward to burgundy kernels! And I’ve sowed some pale green patty pan squashes and some courgette da fiore – a variety selected for flower production rather than fruit) – which was the March mailout for my secret seed club. 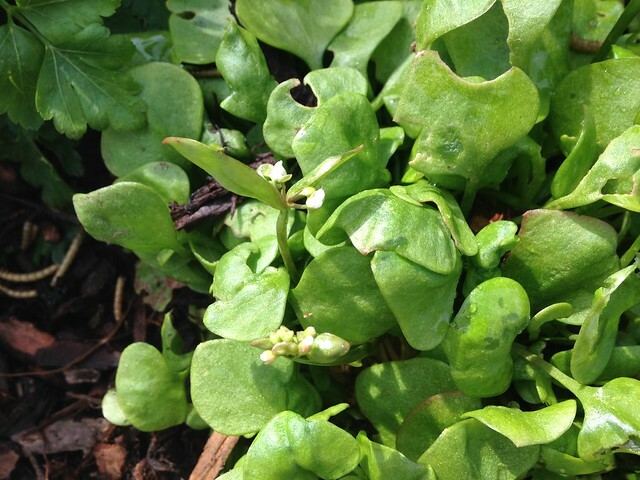 The claytonia is starting to flower, which is great because I’m really hoping it will self-seed and begin a permanent existence in the garden. This is garlic ‘grass’. Last year the garlic was planted in this bed, and it was very wet in the run-up to harvest time (I should have got around to it sooner!) and the connective tissue holding the cloves together rotted away. I had to harvest each clove by hand, and missed a few, which are now growing garlic shoots in among the other plants in the bed. 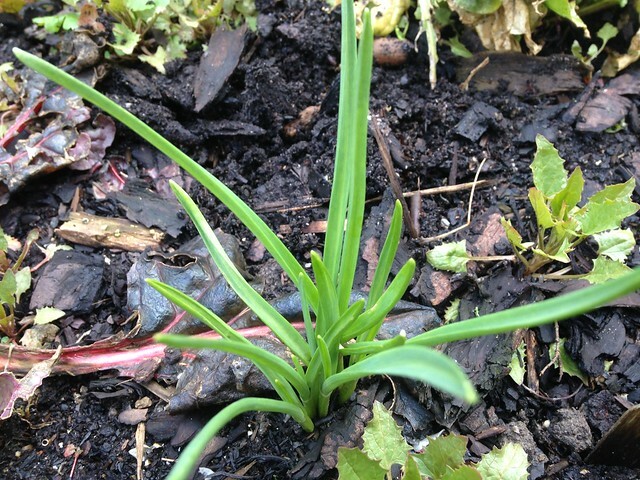 I’ll harvest them as garlic-flavoured ‘chives’ for a stir-fry, or something like that. You can get the same effect by letting garlic shoot in the kitchen. The Garlic Farm calls them ‘garlic chives’, but that offends my ethnobotanical sensibilities, because garlic chives are Allium tubersum. I have those in the front garden, and they’re just starting into growth. 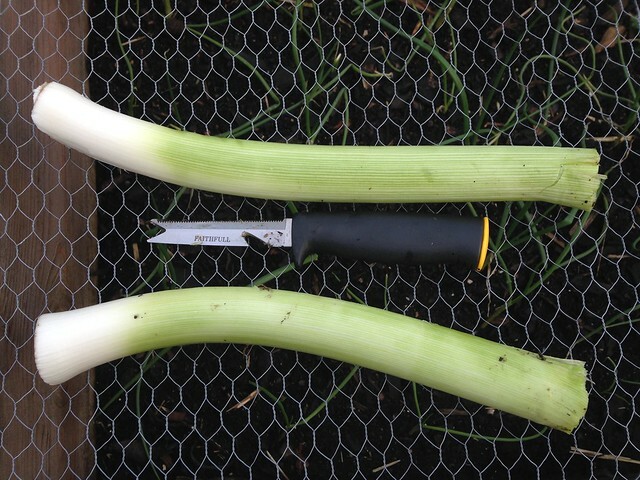 I also have Welsh onions (A. fistulosum) which are up and providing giant, hollow, chive-like leaves. Looking good so far emma, love watching people grow their own produce in their gardens. Nothing better than growing something i find it tastes better everytime.